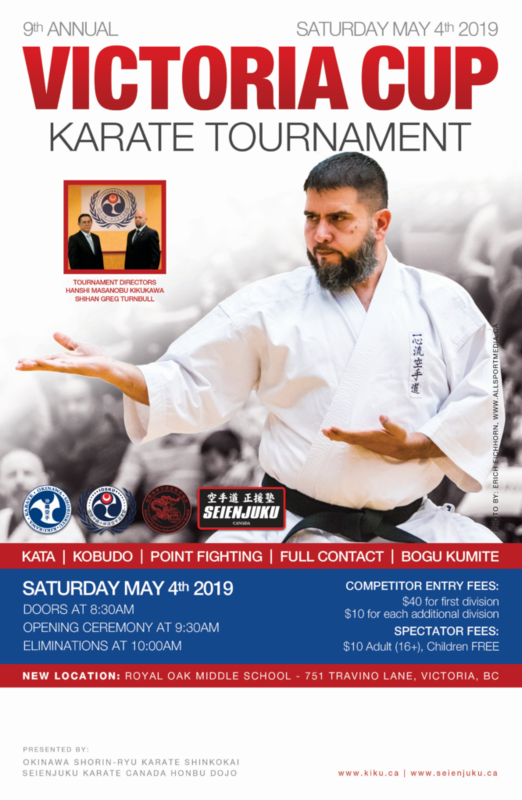 Formerly Yoshukai Karate Canada, Seienjuku Karate Canada Honbu Dojo presents an opportunity to experience authentic Japanese style karate training. We are dedicated to preserving traditional aspects of martial arts through hard training combined with etiquette and discipline. 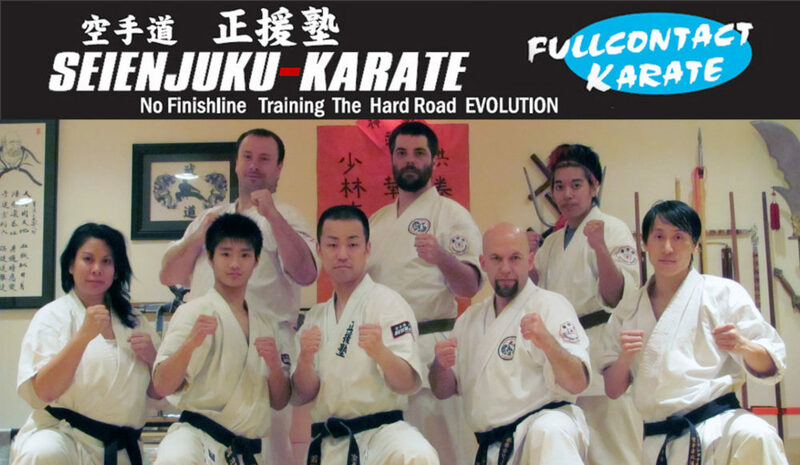 Seienjuku karate classes consist of rigorous cardiovascular, core strengthening, and stretching exercises along with intense body conditioning and effective full-contact fighting and self-defense techniques. Students can further participate in classes of traditional kata and Ryukyu Kobudo (Okinawan weapons). Private lessons are also available by appointment. We are currently accepting students 14-years of age and older, and all students are welcome regardless of previous martial arts experience. Whether it be for fitness, confidence, personal safety, or developing martial arts skill and knowledge, everyone will benefit by training. Please come join us, osu! 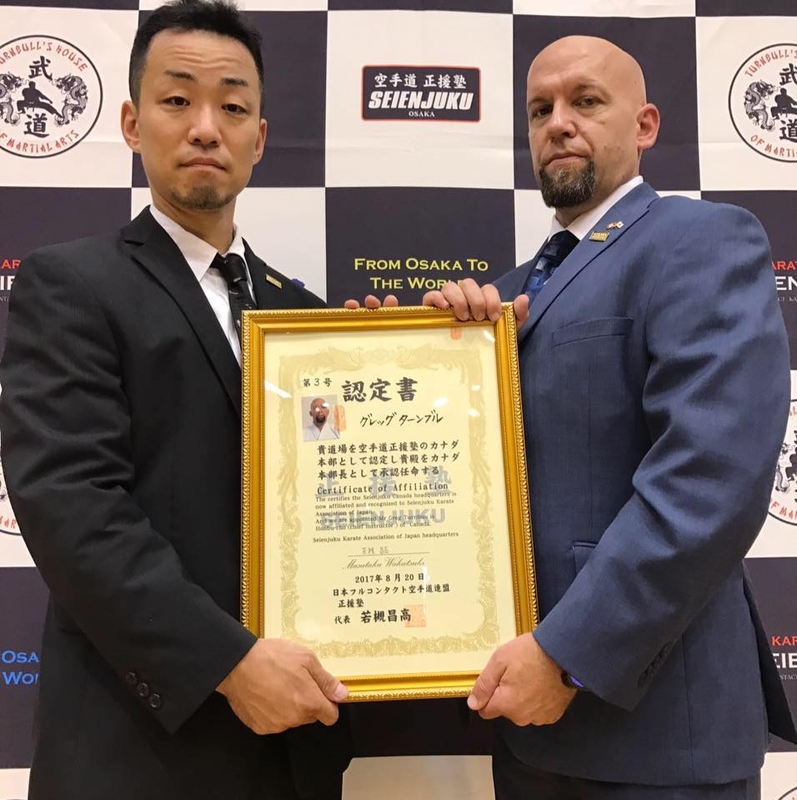 Seienjuku Founder, Masakata Wakatsuki Sensei presenting association and Canada Honbu Cho designation certificate to Greg Turnbull Sensei at the Osaka Jr. Karate Championships, August 20, 2017 in Osaka, Japan.